Cleanliness is vital to any business. Not only does it add appeal to your commercial establishment, but it also keeps your employees and customers safe. This is why maintaining a set of cleaning tools is necessary to maintain a business property. While traditional cleaning tools, such as brooms or mops, can be used in smaller spaces, they’re no longer enough if you a have a big building that needs regular cleaning. You need industrial cleaning machines that are durable and easy to use. Because your staff will save time and energy when cleaning, an investment in such equipment becomes cost-effective. A ride-on sweeper, particularly, is among the most commonly used and beneficial pieces of cleaning equipment that businesses use. There are factors that will help you determine the best time to invest in one. 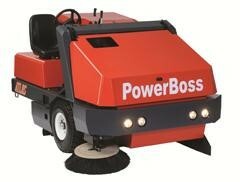 The size of the area to be cleaned is a crucial factor in deciding the type of sweeper to use. A ride-on can cover more than 6,000 square meters per hour. If you’re cleaning an area that is more than 50,000 square feet, a ride-on is recommended as the fastest—therefore, most labor-efficient—option. A walk-behind, on the other hand, is fine for an area of fewer than 50,000 square feet, while street sweepers are best for car parks, footpaths, sidewalks, loading bays, and other smaller spaces. What is the floor material? What type of surface is it? Answering these questions will help you determine the best type of ride-on sweeper to buy. For instance, light-duty models are usually capable of cleaning a single type of surface only. Heavy duty floor-sweeping machines, meanwhile, feature adjustable larger brooms and side brooms that can clean a variety of surfaces and materials, including carpets. If you don’t have time to regularly train new staff, then you need cleaning equipment that is easy to operate. Fortunately, sweeping machines are convenient to use. It doesn’t take a genius to know its different parts and how they work. This eliminates the need to hire extra employees and spend extra time training them. When your business’s maintenance needs fit within the aforementioned parameters, then it’s time to invest in cleaning machines. A reliable manufacturer of industrial sweepers and scrubbers can help you find the right equipment, based on your specific needs and preferences.